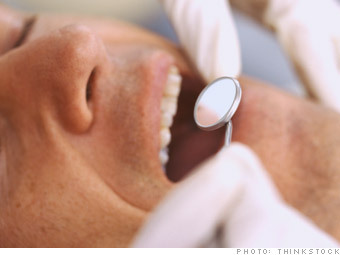 It's not that far fetched to think that missing a bunch of teeth might hinder your prospects in a job search. In fact, one job hunter tried to write off his dental implants as a job-hunting expense, arguing that he had a better chance of getting a job with a full set of pearly whites. His tax preparer, John Lieberman, at Perelson Weiner LLP, said he might have been able to make a case for the deduction as a medical expense if there was a medical reason the client got the implants. But since it was for aesthetic reasons, the deduction was denied.